"Victor Borge Concert" by Morehead State University. Office of Communications & Marketing. 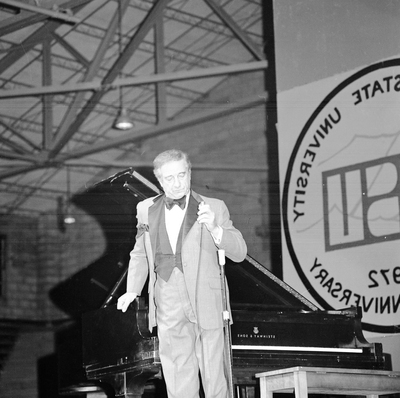 Victor Borge in concert, despite having laryngitis, at Morehead State University on October 21, 1972 in Laughlin Fieldhouse.